On Think Tanks, in partnership with foraus, The Think Tank Hub in Geneva and the Swiss Federal Department of Foreign Affairs (FDFA), organised the first Winterschool for Thinktankers. 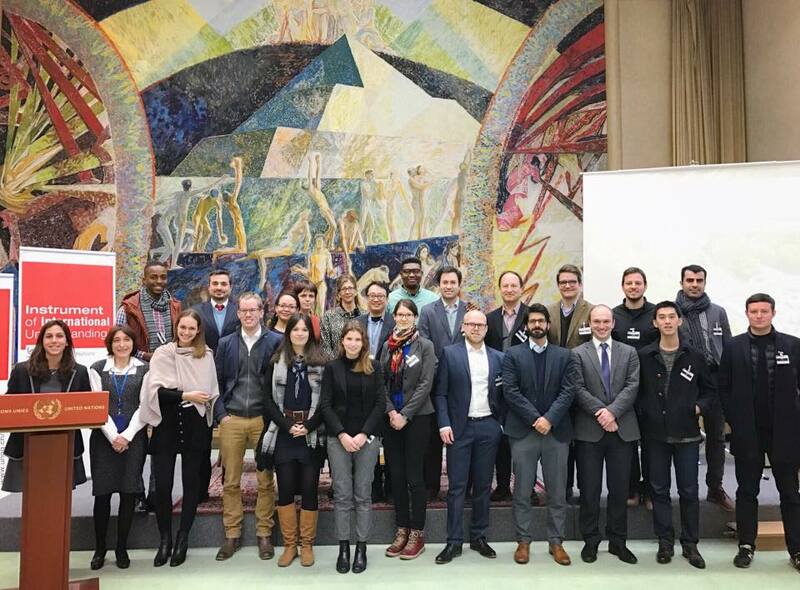 The venue was the city of Geneva – specifically, International Geneva- and the participants were future think tank leaders from Mexico, Brazil, Britain, Belgium, Germany, Switzerland, Austria, Ukraine, Nigeria, South Africa, Iran and China. The idea of the School for Thinktankers was first developed by On Think Tanks back in 2014. The rationale behind it being that most think tanks are led by individuals who trained to be researchers or policymakers rather than managers. At some point in their career they joined or formed think tanks to pursue personal and profesional ambitions. Now, on the job and responsible for large and complex budgets, managing multiple income streams and sources of funding, an increasingly diverse workforce, and growing challenges from their supporters and audiences, some struggle to keep up with skills and knowledge they should have gained before taking on the challenge of running a think tank. The School was designed to inform and inspire future leaders. Instead of a taught course, with note and templates and guidelines, the School is an opportunity for future leaders to learn about the various aspects and dimensions of thinktanking directly from practitioners. The School is designed to give participants a clearer understand of all that they will need to learn about and a better plan to do so in preparation for a future role as think tank leaders. This article offers a reflection on the process and its outcomes. It presents some preliminary recommendations for follow-up work and for the 2018 Winterschool. 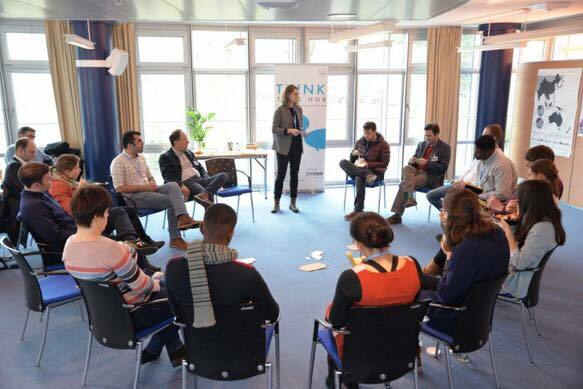 The Winterschool was launched in October 2016 and we received applications from all over the world from young thinktankers interested in developing their skills as well as others who wished to learn more about think tanks. After reviewing the applications we arrived at a list of 15 participants from 12 countries. Their profiles were diverse and included Phd candidates, experienced policymakers and consultants, young researchers, activists and advocates, and entrepreneurs. The Winterschool was held on 22-28th January in various locations across the city. The final programme can be accessed here: Winterschool for Thinktankers – Geneva 2017. Friday focused on governance and management of think tanks. The first day, Sunday, gave us a chance to explore the label of think tanks and their development; and the last day, Saturday, offered a momento of reflection and feedback. These sessions were held at both The Think Tank Hub, in the heart of International Geneva, and locations across town including the UN Library, the Geneva Press Club and the Graduate Institute, among others. this offered participants a unique take on life as international policy thinktankers in a global city. Winterschoool sessions were complimented by a city tour, a welcome cocktail and panel, and several “nights out”, which featured a karaoke night and fondue (twice). Far from being a distraction, these “social events”provide the glue that holds initiatives like the Winterschool together. This is when participants engage with each other and how they begin to learn about and from their peers. The experience of the On Think Tanks Exchange provided us with strong evidence about this. Thinktankers are a mixed bunch. The idea of the typical thinktanker, the policy wonk, is based, like the idea of the typical think tank, on idealised models. An academic with little patience for teaching, an eye on hard-nosed policy analysis and a particular interest in budgets. In fact, think tanks have become attractive vehicles for policy entrepreneurs of all kinds. And as such the traditional model is changing to accommodate all their experiences. The Winterschool was pitched at a more traditional thinktanker and presentations certainly reflected the experiences of traditional think tanks, too. Luckily, participants were able to adapt what these to feed their own agendas and interests. The concept of a traditional think tank, however, is contentious. The experiences of British political think tanks like IPPR were in clear contract with those of international development think tanks like IISD based in Geneva. foraus, our host, couldn’t be more different, too – a bottom-up think tank supported by the engagement of a large network of volunteers. Th city is part of the school. The original School for Thinktankers had been planned for London (we will come back to it soon). There, the city would provide the inspiration. Visits to think tanks, and policy and academic landmarks would give prospective think tank leaders an opportunity to picture themselves in the shoes of leading thinktankers. Geneva offered a slightly different kind of inspiration. Visits to UN, for instance, exposed us to insights about it that would have otherwise taken years of studies to learn. Future Winterschools should take advantage of this opportunity and engage participants with a clear interest in shaping global policies and agendas (such as the Agenda 2030). A London based school may be more appropriate for those interested in the nitty-gritty of domestic politics. While preliminary feedback suggests that the Winterschool was of great value for all participants it is clear (as we should know already) that without meaningful follow-up the lessons and skills learned in Geneva will be short-lived. We will therefore work hard to develop both general follow-up support for all the participants and more specific engagement for those with ongoing projects and efforts to develop or lead a think tank. Monthly follow-up Skype discussions and a closed discussion channel -possibly using Slack. Peer-review of their strategies, plans and initial activities and outputs – for those participants who are ready to take on the challenge of leading a think tank. A platform to disseminate their plans and lessons – On Think Tanks can help to share their plans to a wider audience.